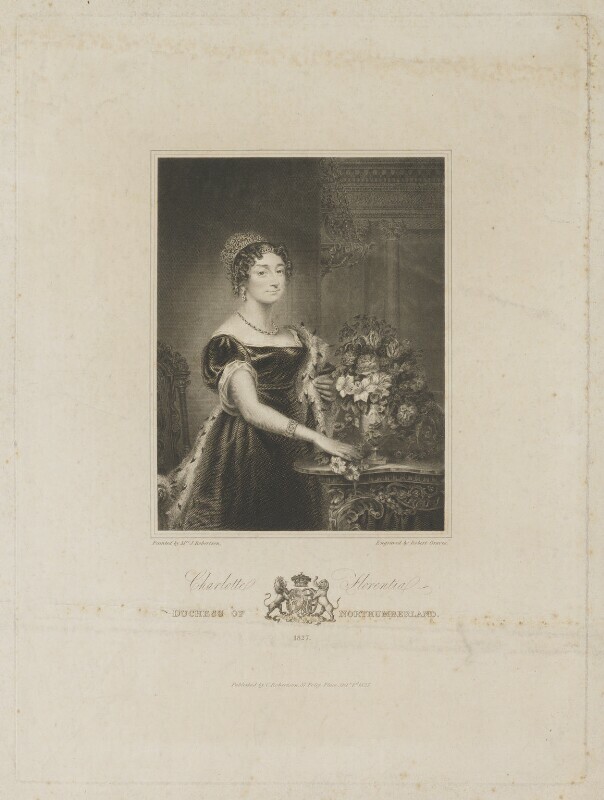 Charlotte Florentia Percy (née Clive), Duchess of Northumberland (1787-1866), Wife of 3rd Duke of Northumberland. Sitter in 5 portraits. Robert Graves (1798-1873), Line engraver. Artist associated with 34 portraits, Sitter in 6 portraits. Christina Robertson (née Saunders) (1796-1854), Miniature and portrait painter. Artist associated with 14 portraits.